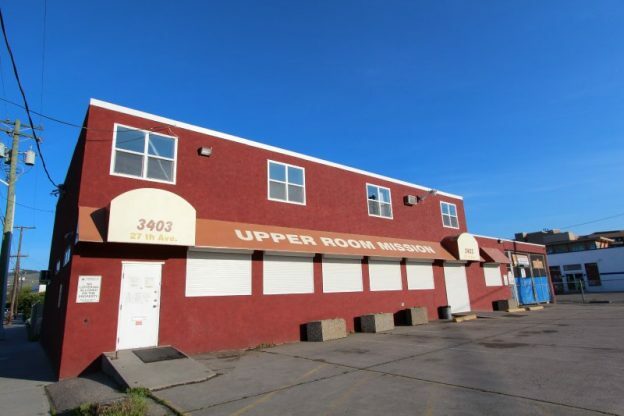 VERNON, June 7, 2017 – A grant from the Ministry of Employment and Social Development has allowed the Upper Room Mission to extend their hours of operation for the summer. Two summer students have been hired, all made possible by the Canada Summer Jobs grant application through the Federal Government. Having two additional staff on hand has created more support as well as supervision, allowing the summer hours to once again be extended. Starting on Monday, June 12, the Mission will be open 9am – 8pm, Monday to Thursday, and 9am – 6pm every Friday. Breakfast and lunch will continue to be served at the regular times, 9am and noon. Regular hours of operation will resume on August 21 (9am – 5pm). The supper service hours will be changing (starting on Monday, June 12) to 4:45pm – 5:30pm in hopes that the new time will allow more people to access the meal service. “We understand that many people work until 4:30/5pm, so being able to offer this new mealtime during the summer months will hopefully be a benefit to those working minimum wage jobs and struggling with food insecurity.” Says Lisa Anderson, Co-Executive Director of the URM. This is the first time that the Upper Room Mission’s doors will be open later than 6pm. “We are very excited to be able to offer these extended hours for the summer. Currently Vernon does not have a drop-in centre that is accessible in the evenings, so we are very much looking forward to offering this service We will be running a variety of new evening programs and hosting different themed nights, such as bingo night, feature film nights – complete with popcorn and other snacks, and much more.” Says Anderson. The summer students have been hired to work in the Mission’s outreach department and will work alongside URM staff to deliver programs and vital services to those less fortunate in our community. In 2016, the Upper Room Mission’s Food Security Program served more than 90,000 hot meals as well as provide assistance and support to many Vernon and surrounding area residents. The Mission’s food services are one of a kind in Vernon due to the fact that all services we offer are free of charge, and people do not need to register to access food or any other service. We are averaging 350-375 meals per day. More people are accessing the Mission than ever before, and those numbers are projected to continue to rise. We are seeing a continual increase in the number of families, children, and seniors using our services.